David A. DeJarnett is a partner in the Martinsburg office of Bowles Rice and concentrates his practice in trust and estate law, federal and state taxation, and corporate, LLC and partnership law. His estate planning practice includes providing clients with planning techniques to meet their objectives. These objectives may include minimizing the effect of estate, gift and generation-skipping transfer taxes through the use of credit shelter trusts, charitable remainder trusts and irrevocable life insurance trusts; accommodating special situations through the use of special needs trusts, prenuptial agreements and Medicaid eligibility planning; and business and property succession through the use of buy-sell agreements, family limited partnerships and conservation easements. His trusts and estates practice also includes advising clients as to estate and trust administration, disclaimers and litigating issues such as testamentary capacity, undue influence and breach of fiduciary duty. Mr. DeJarnett's tax practice includes advising clients of the federal and state tax consequences of various transactions including purchases and sales of businesses, like-kind exchanges and recommending structures and steps to minimize tax liability. He also represents clients having disputes with the Internal Revenue Service and state tax authorities, both administratively and in the state and federal courts. His business practice includes advising clients of the relative advantages of each available choice of entity by which to conduct business, including limited liability companies, partnerships and corporations and the formation, licensing and registration of such entities. 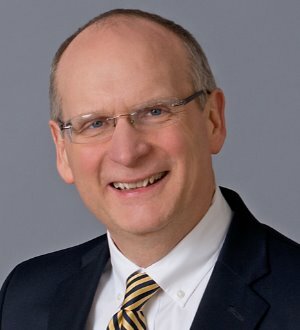 Active in a number of community and professional organizations, Mr. DeJarnett has served on the faculty of the Institute for International Training, Trade and Development, Inc. at Shepherd University in connection with its Russian Tax Officials Training Program. He has published articles and has had many speaking engagements. He serves as the president for the West Virginia Tax Institute and has co-founded and has served as a member of the board of directors of various civic and nonprofit organizations. He is a member of the American Bar Association, the Virginia State Bar, the West Virginia State Bar, the Maryland State Bar and the Tri-State Estate Planning Council. In addition, Mr. DeJarnett is recognized by Best Lawyers in America in the areas of corporate law, non-profit/charities law, tax law and trusts & estates law. He earned his bachelor of science degree in Geology from West Virginia University in 1986. He earned his masters degree in Taxation, with distinction, from the Georgetown University Law Center in 1992, and his law degree in 1989 from the West Virginia University College of Law, where he was a member of the Moot Court Board and recipient of the Thomas N. Chambers Award in Taxation. He is admitted to practice in Maryland, Virginia and West Virginia, before the U.S. Supreme Court, the U.S. Tax Court and the U.S. District Courts for the Northern and Southern Districts of West Virginia.